← Do you have a card? 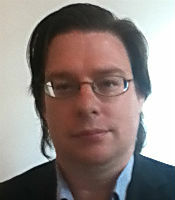 Alex Burns is an Australian-based analyst, developmental editor and researcher. He is currently Research Facilitator in the Research Facilitation Unit of Victoria University‘s Faculty of Business and Law, and is writing n a PhD at Monash University about strategic culture in counter-terrorism studies. Formerly, Alex was a senior quality and planning officer for Swinburne University, and a senior researcher with Smart Internet Technology CRC for three years. Alex also blogs at www.alexburns.net. In a recent Home Cooked Theory post ‘In Praise of Strategic Complacency’, Melissa Gregg offers incisive, critical advice to Early Career Researchers (ECRs) about navigating universities in their first five years after PhD completion. For the past three years, I’ve encountered similar issues for ECRs while in the Research Facilitation Unit at Victoria University’s Faculty of Business and Law. Gregg critiques a ‘post-Fordist’ ‘neoliberal workplace’ that values “flexibility and productivity” over the “accumulation and duration of service.” This position leads Gregg to advise a counter-strategy of “strategic complacency.” I’m sympathetic to many of the issues and problems that Gregg raises about organisational ‘routinisation’, and to Gramscian and Foucauldian “counter-hegemonic” critique. But I differ in the solutions. The workplace transformation that Gregg describes has occurred outside universities for over two decades. It is central to the management philosophies guiding the staffing cuts recently announced at several universities, which can be traced to GE’s WorkOut process under Jack Welch (firing the bottom 10% in annual performance reviews), time-based competition, international research metrics, and the human capital strategies of asset management and private equity firms. These changes are not going away anytime soon. “A young man is at the top of a small ladder attached to his motorcycle.” (Photographer: George Jackman; photograph belongs to the State Library of Queensland). The reality also is that Associate Deans of Research, Research Office administrators, and professors already make private judgments about the research programs, publishing, and grant track-records of ECRs and other academics – usually through incentives, reward and recognition programs, and targeted interventions. The Minimum Standards for Academic Levels in human resources contracts are only a guide to cultivating ‘tacit’ organisational knowledge. Senior university administrators value intrinsically motivated researchers who know why they are distinctive, can articulate an evolving research program, and are making visible progress towards building a competitive track-record. This changes the academic-administrator relationship from enmity to ‘win-win-win’ outcomes. It builds space, sets limits on what will not be pursued, and shapes the academic’s ranked order preferences and priorities for the research program. A ‘success to the successful’ dynamic usually emerges alongside a mentor/patronage system (hence, “unevenly distributed . . . privileges”). Gregg describes problems – “a chronic low level of internalized suspicion of incompetence” and feeling “overworked” – that partly result from when this initial work remains undone. “Strategic complacency” may have its place in establishing important self-limits and priorities, but I also fear it results in a form of self-sabotage that shows up years later in university research metrics and contract non-renewals. A better solution may be to read the Chinese 36 Strategies, and learn behavioural game theory and organisational dynamics instead (see, for example, Barry Oshry’s Seeing Systems; Chris Argyris and Donald Schon’s Organisational Learning II; Gareth Morgan’s Images of Organisation, and Avinash Dixit and Barry Nalebuff’s The Art of Strategy are good starting points). ECRs without this institutional capital will risk getting caught up in administrative systems and the perverse incentives of workload models. In contrast, the successful professors with whom I have worked at two dual-sector universities understand these ‘unwritten rules’ and can frame their research outputs for maximum impact. They can tame, rather than game, the administrative systems. 2. Discovering your inner research administrator. A senior research administrator recently described universities to me as a caste-like system embedded in the enterprise bargaining agreements and human resources contracts. University administrators inhabit and must work in the ‘neoliberal’ and ‘post-Fordist’ university that Gregg invokes (and that still has the qualities of Fordist workplaces like Hollywood’s classic studio system). University administrators are usually degree-qualified (and increasingly in possession of Masters and doctorates) and can range from the ‘sabermetrics’ statisticians of Moneyball (calculating research metrics) to George Clooney’s ‘fixer’ in Michael Clayton (seeing the impacts of university research policies from multiple perspectives and timeframes, and doing last-minute rescue edits of research grants). ECRs should cultivate university administrators as potential allies who can help you to understand the institution’s unwritten rules. In addition, university administrators see and often review hundreds of curriculum vitae, grant applications and rejoinders, and publishing track-records. They’ve already developed the rapid cognition and intuitive judgment about what is needed to increase the quality of the document and its probability of success. They don’t need to be experts in your specific field or discipline. A good university administrator will combine their own studies, professional practice, and deep institutional knowledge with an awareness of the creative process and effective practices of successful academics. For instance, Gregg states that “you will rarely be told that you are publishing too much.” However, I have had very candid conversations about over-publishing on several occasions with ECRs, grant team applications, senior professors, and during confidential exit interviews around their research programs. Over-publishing can mean prioritising volume over quality and opportunistic articles over making a substantive contribution to a coherent, long-term research program. My friend and colleague Roy Christopher suggests that tenure pressures and promotions committees can negatively influence this decision. He makes “an important distinction between writing to be read and writing to have written.” Academia can wrongly emphasise the latter, Christopher believes, to the academic’s detriment. New ECRs face a complex and sometimes contradictory university work environment. On the one hand, ECR status is embryonic as new academics develop their research career, skills, and track record. On the other, universities are under budget, competitive and resource allocative pressures to increase quality research outputs. This creates selection pressures on ECRs and potentially a ‘winner-takes-all’ outcome over the life of an academic career. It is crucial to successfully navigate the institution’s “unwritten rules” whilst having ECR status. University research administrators have the “institutional nous” that Gregg suggests ECRs cultivate and can learn from.